At Trident we follow a strong association with our alumni, apart from organizing alumni meets we encourage a strong alumni relationship with their juniors. 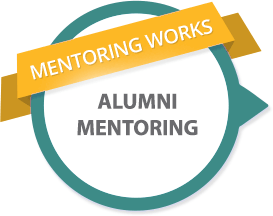 In other words we have a alumni mentor scheme in place. Through this process students get the opportunity to be mentored by a professional alumnus working in their chosen field of interest, or a related profession. The aim of the scheme is to encourage personal and professional growth of our students. This provides an insight into the world of work and helps the students to make the transition from student to working graduate, developing their professional skills and commercial awareness. As a part of this program , our alumni address the students & the students get in touch with them for any clarification or help as far as their preparation for the transition to the corporate world is concerned.